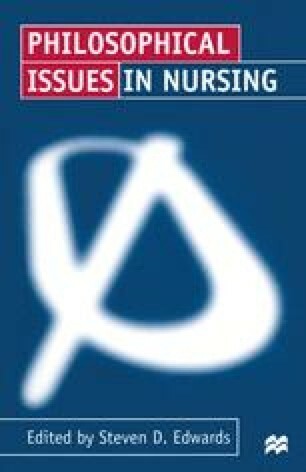 Joan Liaschenko argues that much nursing knowledge is not recognised as such — is not legitimated. Part of the explanation for this lies in the fact that much of it is hidden from view, or is simply not accorded due status or cannot be made explicit. The medical enterprise prohibits the legitimation of knowledge that is not open to view.